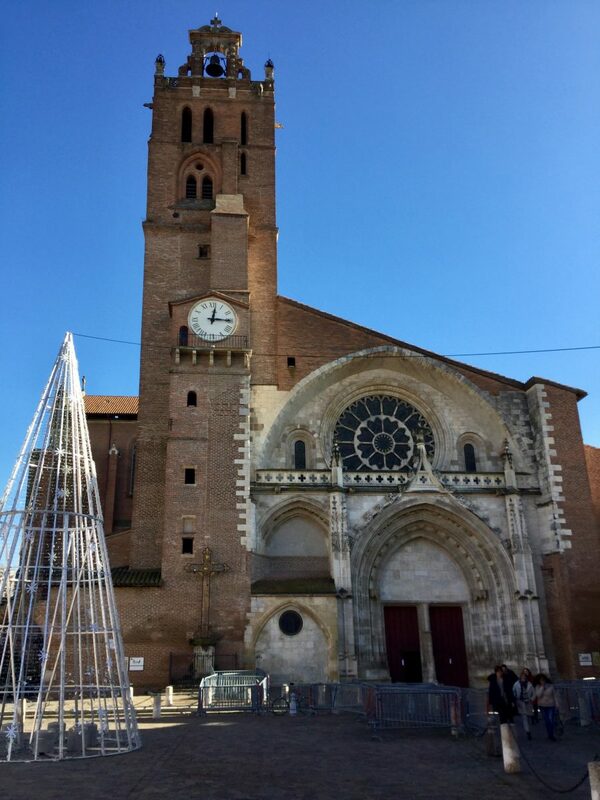 Toulouse is typically a place we drive past on our way to the Basque country. I did visit it briefly in 2012 during the Tour de France but merely scratched the surface of this interesting city which immediately went on my bucket list for a return visit. 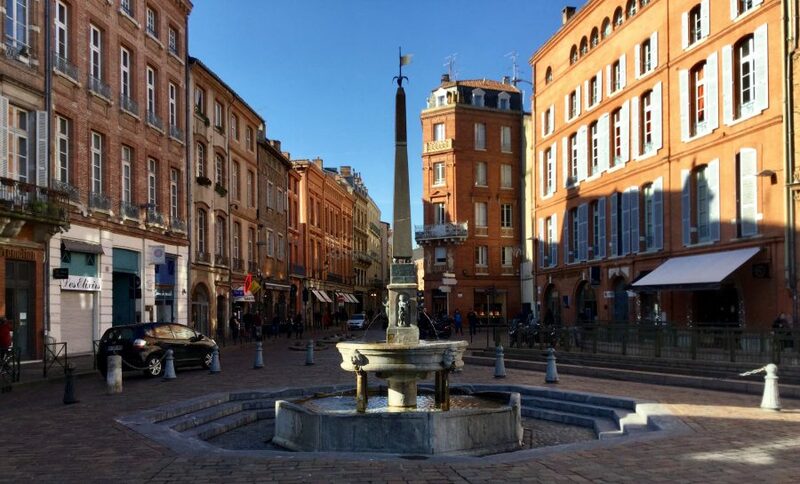 Seven years later, I’m partly fulfilling that wish with a few more hours looking around the centre of Toulouse, a rose-coloured gem, thanks to one of my beloved’s many business trips. However, it’s fair to say that it was more a case of what we didn’t see rather than what we did! 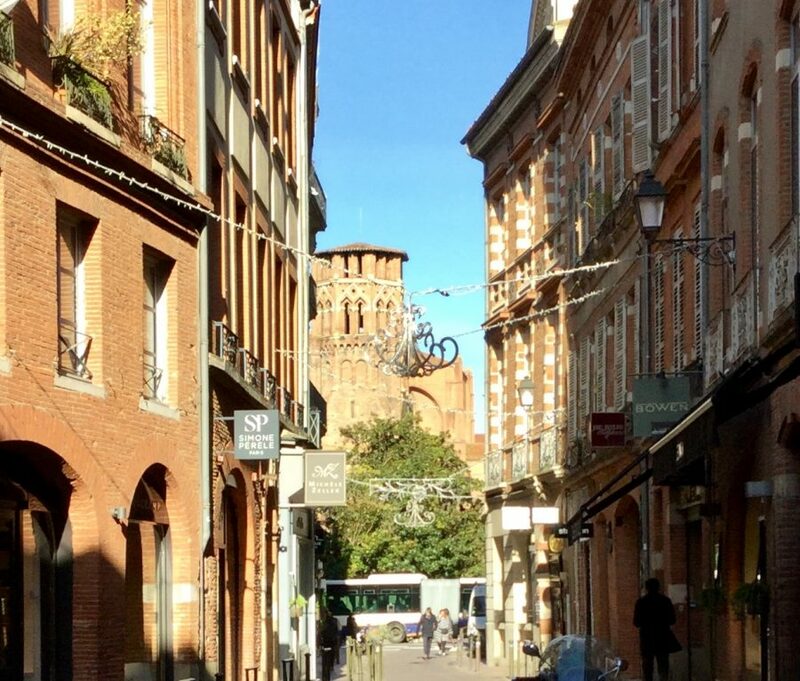 I always like to do a bit of research beforehand and discovered that Toulouse is one of France’s best preserved Renaissance cities. Pride towers dot the skyline. They were a sign of wealth when the merchants, known as the Capitouls, built their mansions in the city. Many are still private or have been converted to office spaces. Of course, if I see a door opening onto the courtyard of one of these impressive places, I’m honour bound to have a peek inside. 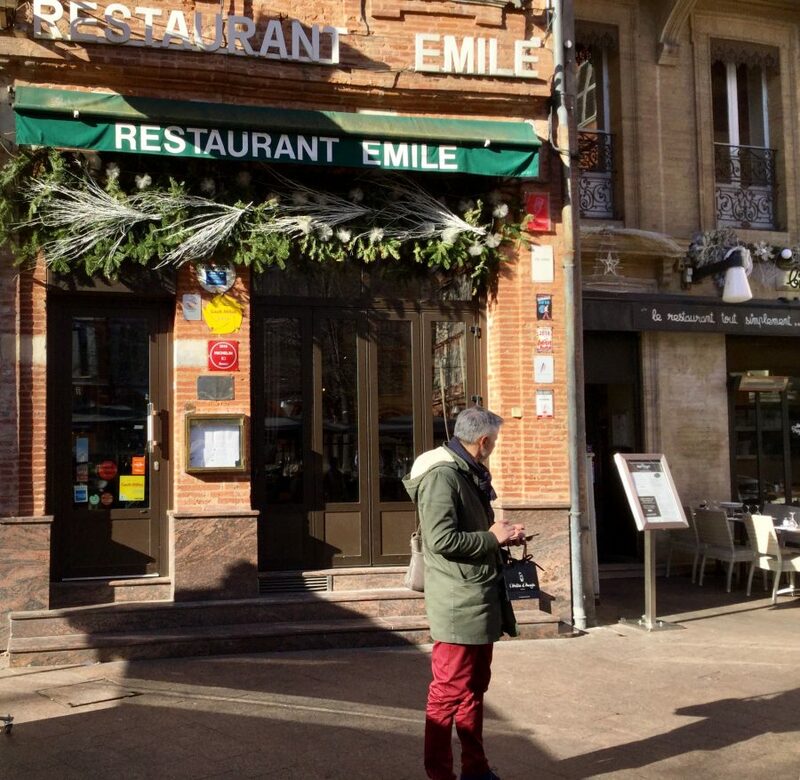 We had planned to spend the day in Toulouse and, although the sun shone, it was bitterly cold so we spent a goodly part of our time enjoying lunch! Once again we merely scratched the surface of this charming city. However, I did walk around an area in the centre that I hadn’t visited before, happily snapping away. 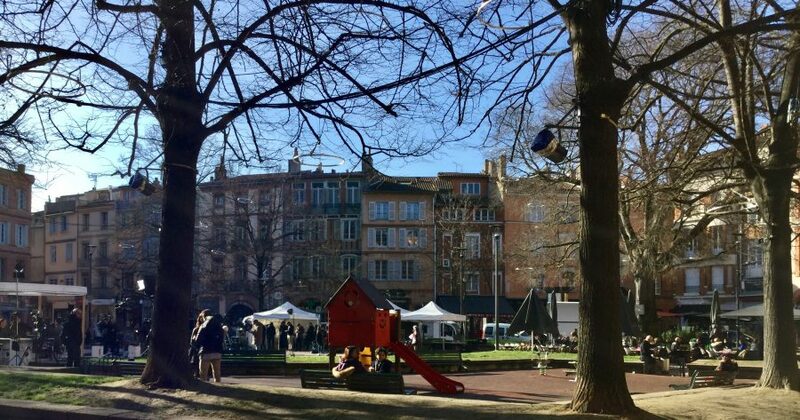 We started our perambulations in and around Place Saint Georges, formerly owned by the capitoulat of Saint-Etienne, a delightful square full of cafes and restaurants where everyone was wrapped up warmly and enjoying the sunshine. I understand the square has a bit of a grizzly past as it was previously used for executions. 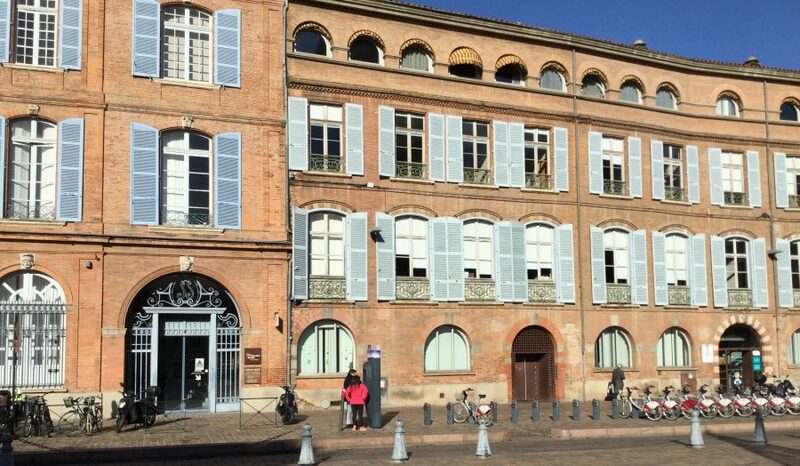 An impressive building, the Hôtel de Lafage, dominates the square and is illustrative of 18th century architecture in Toulouse. The hotel was built in 1745 on the site of some fire-ravaged houses for Count Henry Joseph of Lafage. Nowadays it’s apartments. After lunch we wandered around the roads leading off the square but not any of the roads I’d previously visited. Of course, this means we’ll have to have a return trip to properly visit the town’s “treasures” specifically its impressive churches, in particular Cathedral Saint-Etienne, Basilica Saint-Sernin and Convent of the Jacobins. 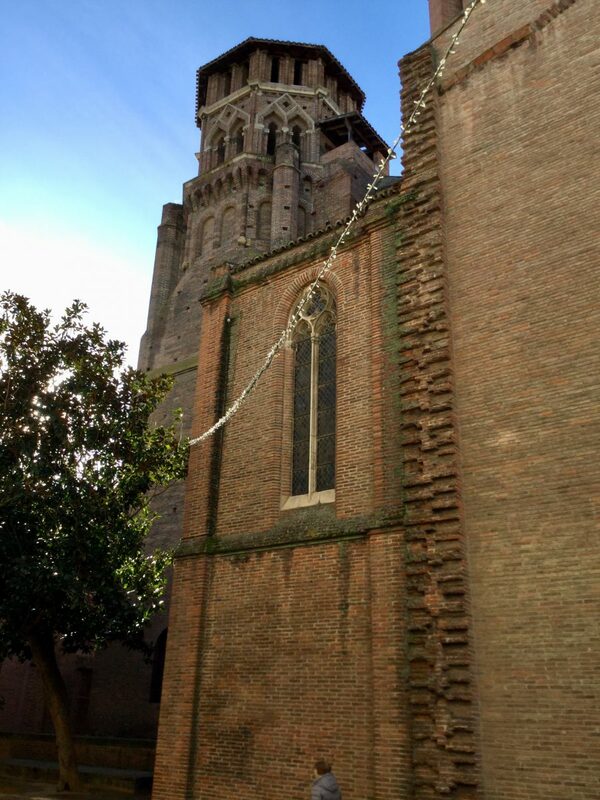 I’ve read that all of these played an important part of Toulouse’s tumultuous religious history. 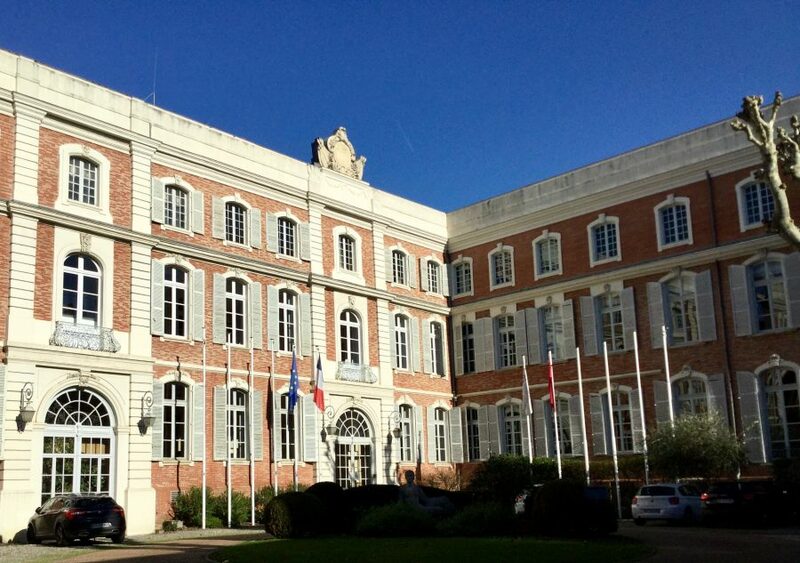 I also missed out on Place du Capitole, the seat of the municipal government since the 12th century. While the sprawling neoclassical building with its eight columns representing the original eight Capitouls is impressive itself, it’s the interior 19th-century Salle des Illustres (Hall of the Illustrious) that is truly spectacular. In addition there’s a series of modern paintings adorning the ceiling of the arcade directly across the square from the town hall building. 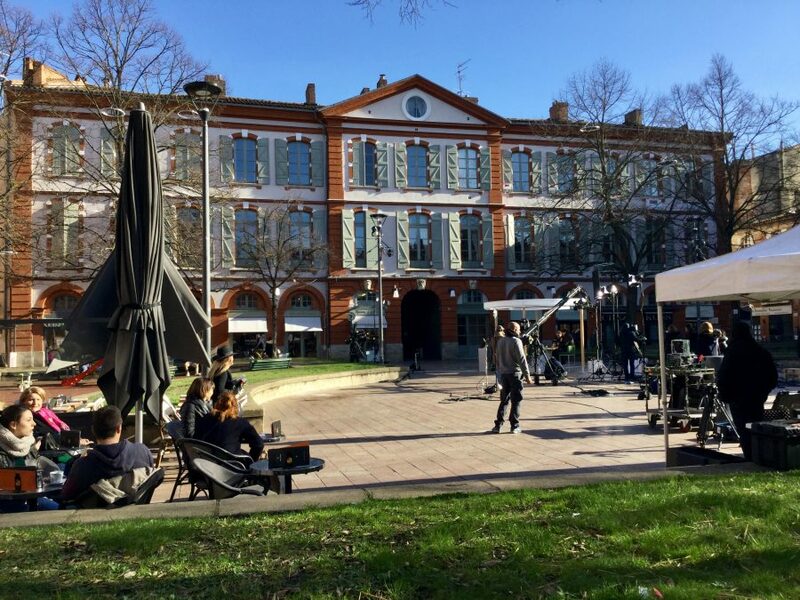 Of course, if you say Toulouse most people think of aeronautics because the city has long been one of Europe’s most important centres for aeronautics and was the International City of Space in 2017. The massive La Cité de l’Espace has also called Toulouse home for the last 20 odd years and, as the name implies, it’s a small city of all things space including a full-scale 53m high replica of the Ariane 5 rocket launcher. There’s also a state-of-the-art planetarium which, along with Houston and Paris, is one of the world’s top planetariums – next time! Another place I would have liked to visit is The Fondation Bemberg, housed in the 16th century Hôtel d’Assézat, which includes 30 paintings by the French artist Pierre Bonnard. 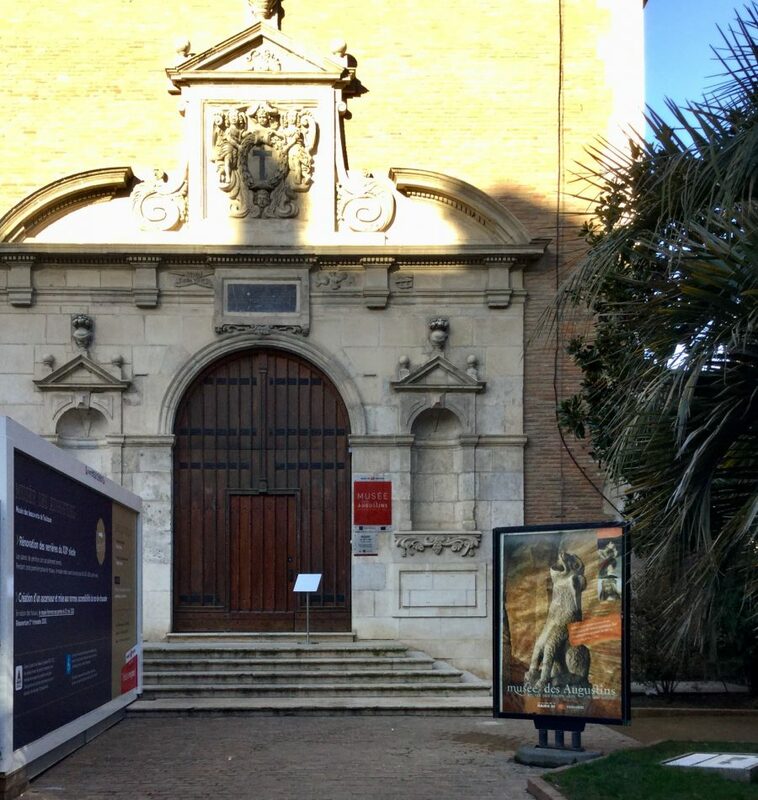 So that’s another one for our next visit along with the Musée des Augustins with its impressive sculptural collection. beautiful pictures of again another favorite city of France! Thanks! It’s a lovely city. Do stop by again when the weather is warm! I will do, it’s a lovely place and there’s loads I didn’t see. 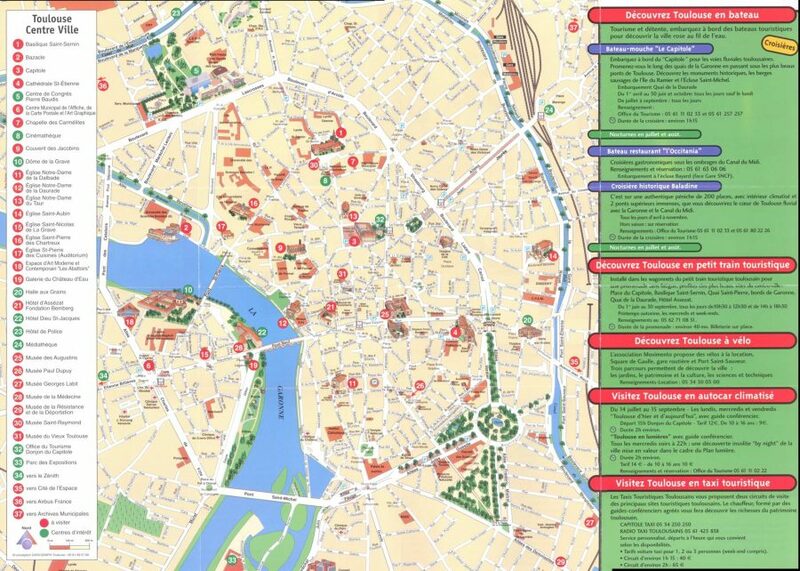 I lived in Toulouse for a year, this is an amazing city! Thanks for sharing. It is an amazing city isn’t it and quite underrated. I can’t wait to visit again and have a more detailed look.